Where Roots And Wings Entwine: AlexandAlexa dream wishlist. As Bug is growing so fast he needs some new clothes as the ones he has now are getting tight, short and small on him. I love vibrant, interesting clothes on my little love Bug and I am always on the lookout for shops and websites that sell trendy, gorgeous and cute kids clothes and accessories. When I stumbled across a website called AlexandAlexa I found myself drawn into their world, getting lost in an amazing array of contemporary, cutting edge and gorgeous clothes from “the World’s best kids brands”. AlexandAlexa provide customers with an impressive range of clothes and accessories from well-known designer brands such as Fendi and Burberry and items from sportswear specialists such as Nike and Puma. I was impressed to see a range of items from niche labels such as Finger in the Nose and Dolls and Dirt, which are brands I have never heard of but now love. 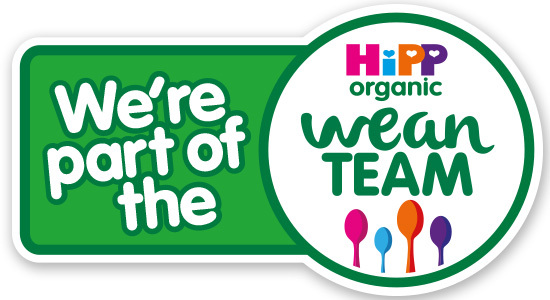 As well as clothes Alexand Alexa also sells toys and gifts from brands such as Lego, Le Toy Van and Moulin Roty. I have now fallen in love with AlexandAlexa and have been lost in their world, dreaming of all the lovely clothes I would love to get for my little love Bug. 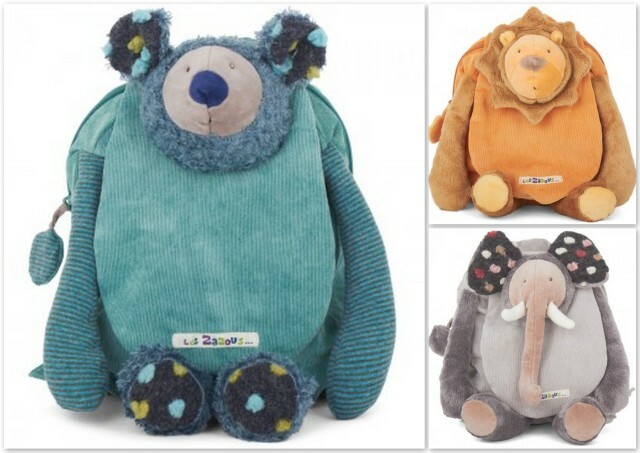 I love, love, love the Moulin Roty backpacks for £30.00. I think the Grey Elephant is adorable, I love the Orange Lion’s cute face and I adore the colour of the endearing Green Koala. I think Bug would look very cute with one of these gorgeous backpacks……the backpacks are sooooo cute I think I would want to use have one for myself. I love Jean Paul Gaultier and I adore his perfume. As I have a fondness for Gaultier I was pleasantly surprised to see some Junior Gaultier clothes and accessories on offer on the AlexandAlexa website. 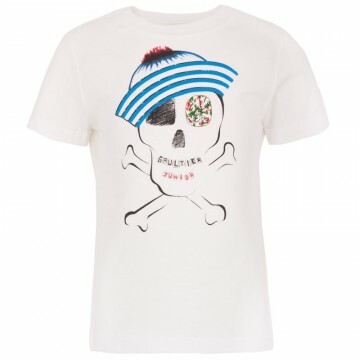 In true Gaultier sailor style the White Sailor Skull Print Tee is gorgeous; I love the design and the vibrant blue sailor hat. I think Bug would look uber trendy in this stylish t-shirt which can be purchased for £44.00. I also love the Junior Gaultier Black Two Piece Suit which is currently on sale for £125.oo. 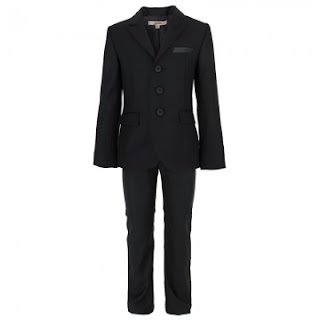 I think Bug would look very sophisticated and suave wearing this suit which would be perfect for him to wear to a wedding we are going to in the summer. 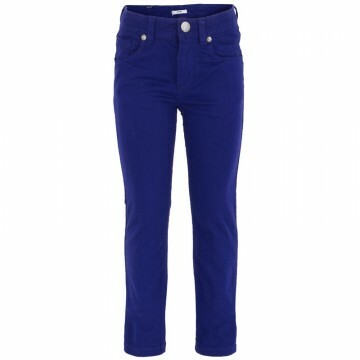 I adore the Blue Delaware Fitted Jeans for £68.00. The colour is gorgeous and I think Bug would look very trendy wearing them; I can picture ‘strutting his stuff’ wearing them with the Junior Gaultier White Sailor Skull Print Tee. 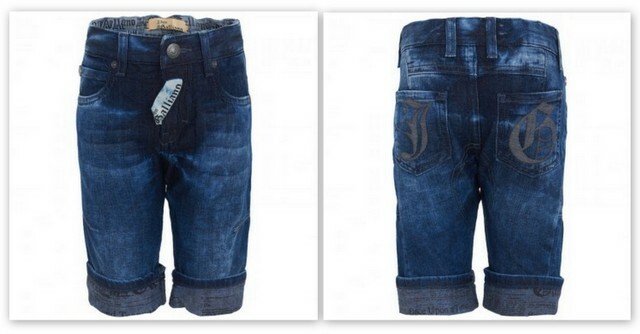 I love the John Galliano No Kids Gazette Print Denim Short for £75.00. I love the colour and the print design. I think Bug would look gorgeous in these shorts and I think they would be the perfect addition to a trendy summer outfit. 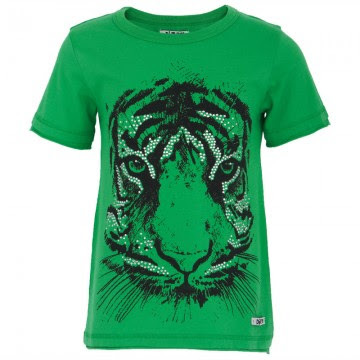 I also adore the Dolls and Dirt Diamante Tiger Tee for £25.00 and I would love to get it for Bug. I love the vibrant green colour, the touch of sparkle thanks to the diamantes and I think the tiger design is stunning. This gorgeous t-shirt would look super trendy on Bug and the bright colour would liven up any outfit. Another item of clothing I would love to get for Bug is the Rare the Kid Blue Rock Now Jumper with Paint Print which is currently on sale for £52.50. 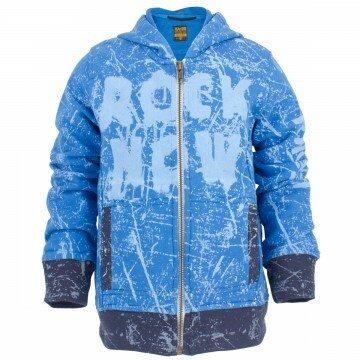 I love the blue colour and the funky paint print design. As well as a gorgeous range of clothes for kids, AlexandAlexa also sell children’s shoes. 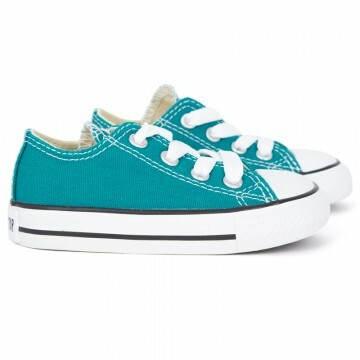 As a huge fan of converse shoes I love the range of converse shoes on the AlexandAlexa website. Bug’s red converse are getting close to being too small for him and I would love to get him another pair. The Turquoise converse trainers for £23.00 are so cute and I love the vibrant turquoise colour…..they are calling out to me screaming ‘buy me’! 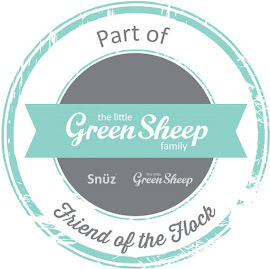 I also love the range of kids ugg boots on the website, there are lots of different styles and colours available to choose from all of which I think are super cute for little feet. 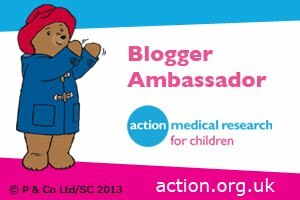 Even though technically AlexandAlexa have categorised most of the range into the section for girls I think a lot of the boots are unisex and would be perfect for keeping Bug’s feet cosy and snug. 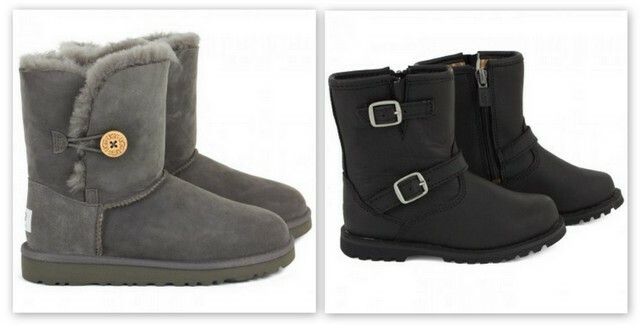 I love the Ugg Kids Grey Bailey Button Boots for £108.00 and the Ugg Kids Black Harwell Biker Boots for £60; both of which I think are unisex styles that would suit Bug. Alas due to my expensive tastes but lack of funds I think for now most of these items will remain as fantasy, wish list items which is a shame as I think Bug would look adorable wearing all of my dream choices.